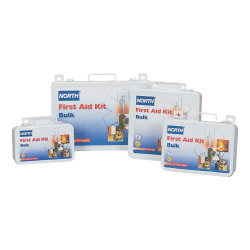 10-Person First Aid Kit | U.S. Plastic Corp. These Plastic First Aid Kits are ideal for settings where a wide variety of first aid items are required.